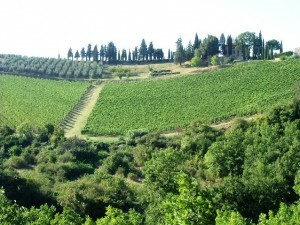 Tuscany is a beautiful region with a historical and artistic heritage that makes it special at any time of the year. The particular beauty of this region makes it usable for tourists not only in spring and summer but also in winter when the fall of the city are less crowded prices are lower and cultural programs offered in various areas, however, are many. Travelling along the various paths that Tuscany has to offer allows us to visit historical places very special and very ancient as the Etruscan necropolis of Volterra, or the great masterpieces of the Renaissance, but also travel along natural paths in contact with crops and cultures of the region. For this reason, the Tuscany is still one of the favorite destinations of tour operators, school groups and individual travelers who want to discover the true essence of this land. For individual travelers the routes are created on the basis of their stay and their visit historical and artistic interest with the possibility to combine gastronomic breaks and relaxing holidays in a strictly cultural interest. Florence is definitely the jewel of the Tuscan region where both adults that children can discover a world of artists and culture. The streets of Florence are fascinating because of their uniqueness to the beauty of the buildings that surround it. 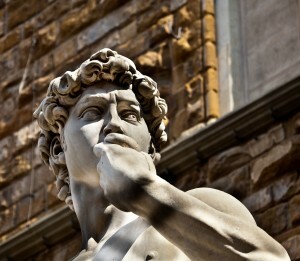 One of the biggest attractions in addition to its Florentine museums worldwide are craft shops. Even today in Tuscany there are numerous craft activities where the basis for the processing of the product there is still a manual operator. Siena, Arezzo, Pisa is a city of great charm where the atmosphere is relaxed in the midst of wonderful monuments. 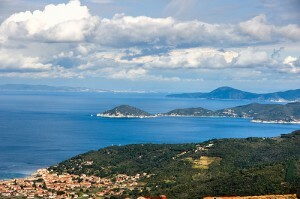 The Tuscan coast makes available to all guests of this region of sea absolutely heavenly as Baratti, San Vincenzo and the coast of the Maremma. 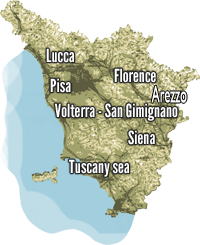 Can not forget in this context the beautiful Etruscan town of Volterra, surely one of the most charming places of Tuscany also for its proximity to the sea and to the most important art cities like Siena and Florence. To visit Tuscany you can choose to stay in a comfortable hotel in the city center or stay in the beautiful cottages and hotels of charm in the Tuscan countryside, there are all kinds of restaurant, no restaurant can accommodate children with a pool and are definitely the best way to enjoy the beauty and the real Tuscan life. They are luxury residences in the vicinity of major cities or small family-run farm where surely will be offered a delicious dinner based produce and traditional Tuscan family.